A remarkable transformation is occurring in the Faculty of Arts as Laurentian University implements new initiatives to fulfill its tricultural mandate of offering an outstanding university experience, in English and French with a comprehensive approach to Indigenous education. The appointment of Indigenous faculty members across the disciplines – 9 new members since 2013 – has allowed departments to enhance their curriculum with new courses that introduce Indigenous perspectives and promote cross-cultural understanding. At the same time, these new appointments have greatly expanded the Indigenous research capacity across the Faculty of Arts, providing new opportunities for graduate students – both Indigenous and non-Indigenous - to pursue research that benefits local communities. Research collaborations and partnerships are being established and planning is underway for an Indigenous research centre. We look forward to welcoming a new Research Chair in Indigenous Relations and Governance in 2017. The mural Survival (1985) by Native Studies graduate Leland BELL can be viewed in the foyer outside the Fraser Auditorium. Click HERE for a description of the symbolism of the painting. When was Laurentian University’s tricultural mandate established? 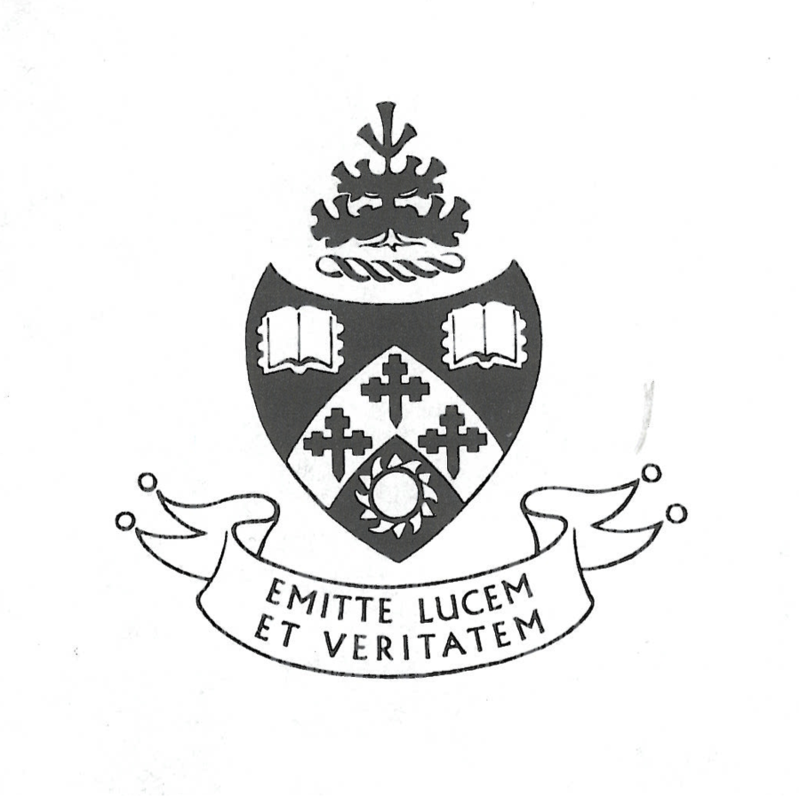 This model is represented by Laurentian University’s old coat of arms which included two books “to represent the two languages and cultures in the University” as well as three crosses representing the three churches that petitioned for the establishment of Laurentian University, each one affiliated with one of the federated Universities: the Roman Catholic Church (University of Sudbury), the Anglican Church of Canada (Thorneloe University) and the United Church of Canada (Huntington University). “First, there was wilderness, the forest, lakes and sky of Northern Ontario... Then a railway snaked its way across the land, bringing with it labourers from far distant countries... Small villages sprang up. The railway brought industry and thousands of new Canadians, looking for a new life in a young challenging land... Civilization came to Northeastern Ontario, and with it the amenities of life, log cabins, general stores, churches, hotels and the everpresent barrooms... and finally... the University...”. 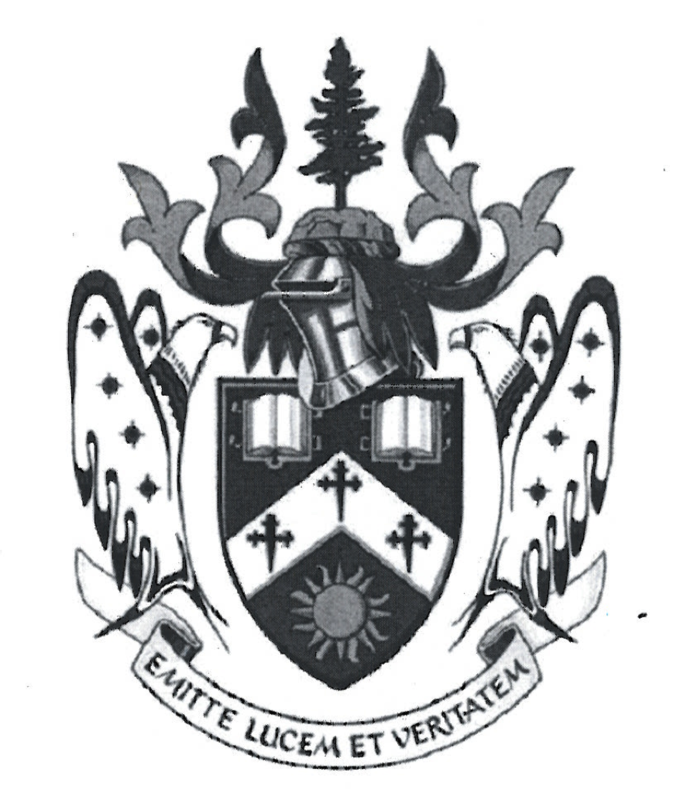 In 2010, Leland BELL designed two eagles which were added to Laurentian University’s coat of arms as Laurentian University commemorated the 50th anniversary of its founding. A lot has changed in the Faculty of Arts since 1960. Today, Indigenous students make up 12% of students enrolled in Arts programs and 11 full-time Indigenous faculty members are teaching across a range of Arts programs including Anthropology, Economics, English, Geography, History, Indigenous Studies, Labour Studies and Sociology. Laurentian University’s current logo represents its bilingual and tricultural mandate with a tree, the three branches on the left representing the anglophone, francophone and Indigenous cultures of Northern Ontario and the two branches on the right representing the English and French languages. How did Indigenous education develop at Laurentian University and the federated institutions? In the 1960s, there were a few Indigenous students enrolled in B.A. programs in various disciplines on the Sudbury campus. One such student was Donald OBONSAWIN, a member of the Abenaki First Nation, who graduated in 1971 with a B.A. in political science and went on to pursue graduate studies in Quebec. From 1987 to 2002, he served as deputy minister in seven Ontario ministries. He was recognized with an honorary doctorate of Letters by Laurentian University in 1999. Many others took advantage of courses offered by the Extension Division, established in 1960, for adult learners, distance education students, and part-time students. By the mid-1970s, Extension courses were being delivered: 1) face-to-face in small towns and on reserves around the region; 2) off-campus by correspondence, audiotape, videotape or television; and 3) on-campus as evening or summer courses. Of the Extension courses aimed at adult learners without a secondary school education, the ones created by Jesuit Alexandre BOUDREAU, hired by the University of Sudbury to teach economics, were particularly popular. They were held in Catholic churches across the region and were intended to help fight communist infiltrations, promote co-operatives, and equip workers to take on leadership roles in their union. An article appeared in the Sudbury Star on March 14, 1962 regarding Anishinaabe workers attending classes at a church in Garden Village, south of Sturgeon Falls: “Guest lecturers are on hand each week to give information on such subjects as leadership qualities, use of leisure time, Indian culture, communism, current events in Africa, co-operatives, and primary education for Indian children. [...] A very interesting program of colored slides and movies was presented by Father McKey showing his tour through Canada and northern United States visiting Indian schools and churches.” The Sudbury Star drew attention to the participation of both men and women, by publishing a photo of registration with the caption “Women show interest in course at Garden Village”. 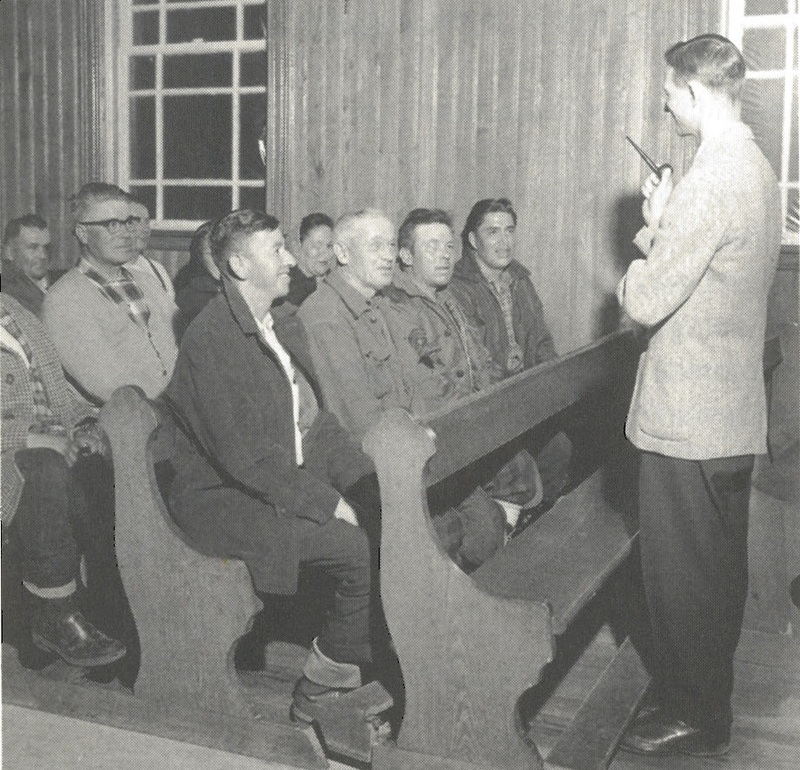 Image : Anishinaabe workers, both men and women, attend an Extension course at a Catholic church in Garden Village, south of Sturgeon Falls, in March 1962. By 1974, the program in Native Studies at the University of Sudbury was available to distance education students. In a report entitled Educational Needs of Native Inmates in the Ontario Region: A Study (1985), prepared for Correctional Service Canada by the University of Sudbury, it was noted that a few Indigenous students had been able to complete a B.A. in Native Studies while in prison by taking correspondence courses. In Changing Lives: Women in Northern Ontario (eds. M. Kechnie and M. Reitsma-Street, Toronto/Oxford: Dundurn, 1996), Dr. Anne-Marie MAWHINEY and Dr. Ross PAUL noted the high participation rate of Indigenous women in distance education courses. By 1995, Native Studies was one of the six concentrations in the 3-year B.A. that were available by distance. Of the 119 English-language correspondence courses available at that time, 21 were designed specifically for Indigenous students. Today, Indigenous Studies is the only specialization in the 4-year B.A. that can be completed entirely by distance. The model used in the 1960s by the Extension Division to bring postsecondary educational opportunities to remote areas is still relevant today. In 2014-15, Dr. Emily FARIES, assistant professor in the Department of Indigenous Studies since 1995, was offering INDG 1116EL Foundations of Aboriginal Peoplehood and INDG 1117EL Implications of Aboriginal Peoplehood in her home community of Moose Factory, making the long journey (requiring travel by car, train and helicopter) each month to deliver a full-day session of classes. Dr. Emily FARIES holds a B.A. and B.Ed. from Laurentian University and an M.Ed. and D.Ed. in Curriculum from the University of Toronto. 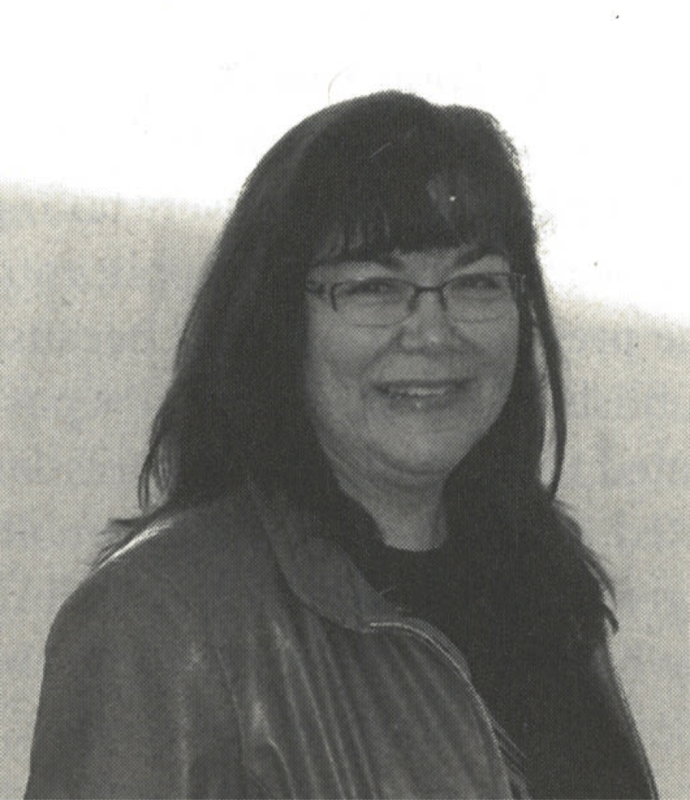 Her research interests are in First Nations education and Indigenous community-based research methods. 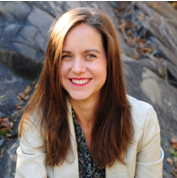 She is Associate Director of the Poverty, Homelessness and Migration research project. A member of Moose Cree First Nation in the James Bay region, she was a recipient of the National Aboriginal Achievement Award in 1998. She was awarded the President's Medal for exceptional service to the University of Sudbury in 2015. By the 1970s, students were organizing identity-based groups such as the Women’s Liberation Group (1969), the Native Students’ Club (1973), and the Association des étudiant(e)s francophones (AÉF) (1974). Identity-based programs from the 1970s included Amerindian-Eskimo Studies (1971), Canadian Studies (1971), Folklore and Ethnology (1975), Native Studies (1976), and Women’s Studies (1978). Curriculum developed by the Department of Native Studies (1977) served the needs of the Native Prison Program which emphasized identity and cultural awareness as well as those of the Honours Bachelor of Social Work (Native Human Services) which blended cultural knowledge with social work theory and practices. Supreme Court Justice Emmett Hall and Toronto school principal Lloyd Dennis wrote a report for the Ontario Ministry of Education entitled Living and Learning: The Report of the Provincial Committee on Aims and Objectives of Education in the Schools of Ontario (1968). 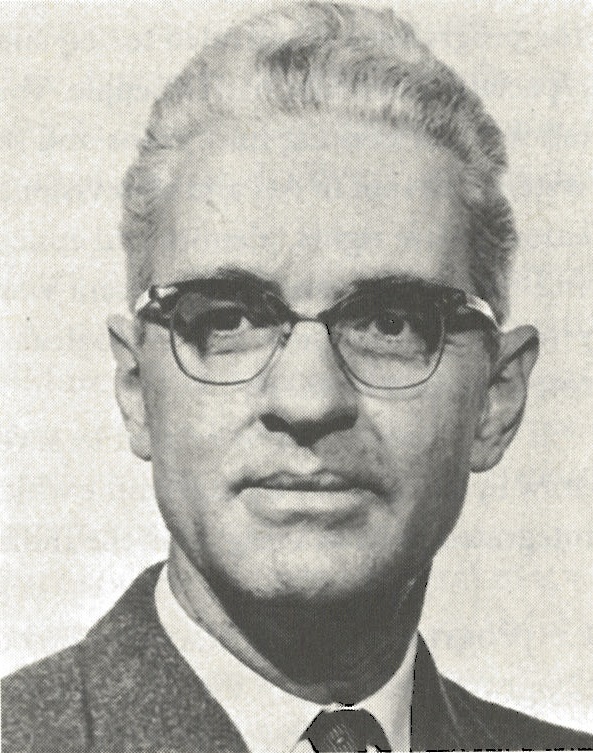 In response to recommendation 123 of the Hall-Dennis Report (“Encourage at least one Ontario university to establish an Institute for Canadian Indian Studies.”), Edward Newbery started a seminar study group which became the Institute of Indian Studies (1970). The Rev. Dr. J.W. Edward NEWBERY (1909-2004) was a minister of the United Church of Canada. He served as president and principal of Huntington College (1960-67) and taught in the Department of Religious Studies at the University of Sudbury. He received an honorary doctorate of Law from Laurentian University in 1986. In 2006, the Newbery Lecture Series was created in his honour. Invited lecturers have included elder James Dumont (in 2006), Dr. Wesley Cragg, founding coordinator of the Law and Justice program (in 2009), First Nations National Chief Shawn Atleo (in 2010) and Michael Thrasher, a Métis-Cree elder from northern Saskatchewan who was instrumental in the development of the Ph.D. in Indigenous Studies at Trent University (in 2014). Students in Amerindian-Eskimo Studies, 1971. In addition to the courses, there were field trips, lectures by invited speakers representing First Nations from the region as well as a “weekly one-hour coordinating seminar”. 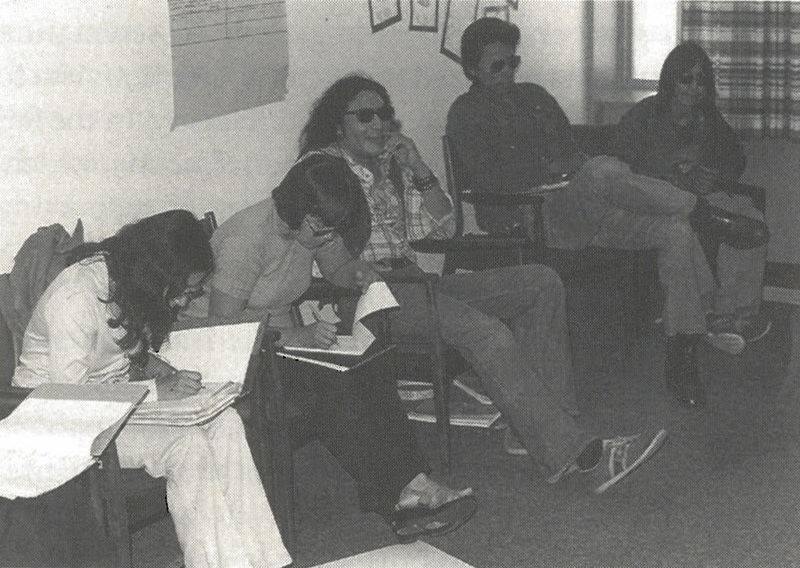 In November 1973, the Native Students’ Club was formed with 8 student members. 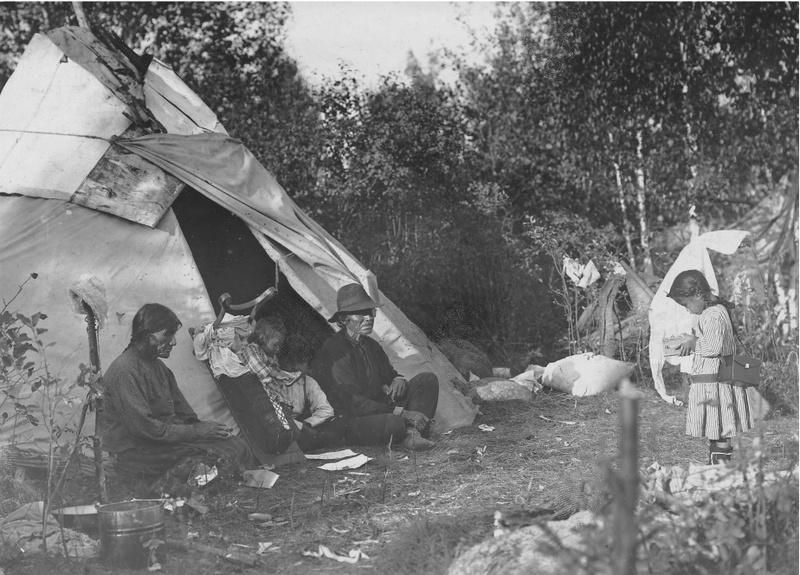 The same year, the program in Amerindian-Eskimo Studies received a grant of $17,000 from the Donner Canadian Foundation. In 1974, $7,000 of this grant was awarded to First Nations students conducting research on problems of language transcription. A study of Nishnaabemwin (the Ojibwe language) was undertaken in various First Nations communities by tape-recording interviews with elders. In 1971, Stella KINOSHAMEG had begun teaching credit courses in Nishnaabemwin at the University of Sudbury. Summer courses were offered on Manitoulin Island. The Stella Kinoshameg Award in Indigenous Studies was created in her honour in 1993. The other courses included Understanding Society, Minority Groups in the Modern World, Canadian Society, Introduction to Anthropology, An Introduction to Language, with Special Reference to English, The Religious Dimension of Man, Cultural Geography, Biogeography, Philosophy of Education, Philosophy of Culture, Philosophy of Language, Philosophy and the Social Sciences, Canadian History, History of Canadian-American Relations, Themes in Canadian Social History, and The Politics of Ethnic Pluralism. Eleven courses were available in both French and English. 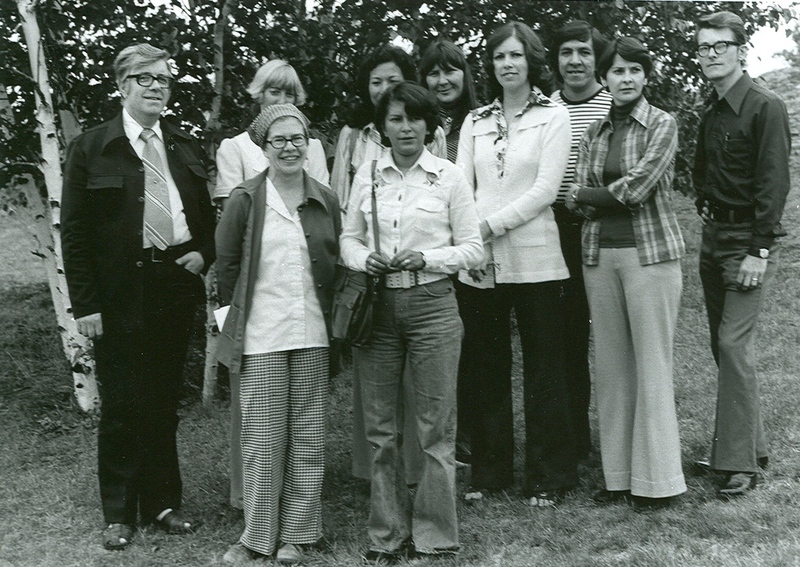 In 1974, faculty members in Anthropology criticized the program for not being based on research into the needs of First Nations people in the region. Following an external review, it was terminated. Approved in 1976, the program in Native Studies included Cree and Nishnaabemwin (Ojibwe) language courses as well as courses on Anishinaabe identity, religion and culture. The first courses, introduced in 1975, included NATI 1000EL Introduction to an Amerindian Language, NATI 2000EL Advanced Indian Language Studies, NATI 3000EL Education, Identity and Native Culture and NATI 3050EL Selected Themes. In 1977, the language courses were restructured as NATI 2010E An Introduction to Ojibwa, NATI 3010E Advanced Ojibwa, NATI 2020E An Introduction to Cree, and NATI 3020E Advanced Cree. Other new courses in the 1977 Calendar included NATI 1100E Canadian Native People, NATI 2280E North American Native People: Tradition and Culture (exploring “Native spiritual insights”), NATI 2300E Contemporary Native Issues (categorized as “Land, Language, Law, Learning and Liberty”), and NATI 3200E Nature and Man: An Indian View. The Department of Native Studies was founded in 1977 at the University of Sudbury and housed in the Faculty of Humanities. Chaired by Edward Newbery, the department included assistant professors James Dumont and Thomas Alcoze, and lecturer Edna Manitowabi. James DUMONT or Onaubinisay (Walks Above the Ground) is from the Shawanaga First Nation. He taught in Native Studies (1975-2000) and is credited with shaping the curriculum of the program. He created courses in Tradition and Culture, Native Psychology, Native Way of Seeing, Native Education, and Issues of Indigenous Peoples in the International Context. James Dumont was awarded an honorary doctorate in sacred letters by the University of Sudbury in 2011. In 1983, the Department of Native Studies collaborated with Nipissing University College in offering a non-credit Native Classroom Assistant Certificate. Students selected by their communities would take three non-credit five-week courses in consecutive summer sessions. By 1985, the Native Studies Student Association had 60 members and had replaced the Native Students’ Club. In the early 1970s, the Native Prison Program was introduced informally into Ontarian correctional facilities during Native Brotherhood/Sisterhood meetings intended to provide support to Indigenous inmates. Through informal discussion groups and ceremonies conducted by respected elders and volunteers, inmates were encouraged to develop a more positive self-image by discovering their cultural roots and identity. By 1974, correspondence courses in Amerindian-Eskimo Studies were available to inmates. From 1976-79, the Native Prison Program was coordinated on a part-time basis by a recent graduate of Native Studies who made regular visits to the prisons. On March 26, 1980, the Northern Lifereported that the Department of Native Studies had received a grant of $75,000 from the Donner Foundation to provide bursaries to First Nations students and to support an initiative to educate First Nations inmates. This grant made possible the hiring of Paul Bourgeois as full-time coordinator and the development of teaching manuals and audio or video presentations. In 1983, the Department of Native Studies requested permission from Correctional Service Canada (CSC) to deliver the program in various prisons. A study of the program commissioned by the CSC recommended focusing on Native culture and history from a Native perspective in order to develop inmates’ cultural awareness and sense of self-worth. In 1984, the Program Committee responded to this recommendation by proposing a set of three courses including Native Tradition and Culture, Aboriginal People in the Contemporary World, and Native People and the Law. The Committee consisted of Native Studies faculty members Thomas Alcoze, Dr. Edward Newbery and Nahum Kanhai, coordinator Paul Bourgeois, Dr. John ELLIOTT who taught in the Department of Sociology (1970-95) and Laurent Larouche, president of the University of Sudbury. 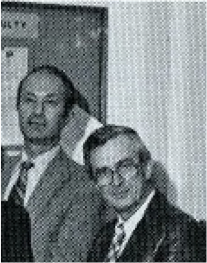 (L. to R.) Lyn McLeod (Minister of Colleges and Universities), Sir John S. Daniel (President of Laurentian University), Dr. Anne-Marie Mawhiney (Social Work), Dr. Thomas Alcoze (Native Studies), and Ontario MPP Sterling Campbell, 1988. Over the course of the 1980s, an Indigenous Social Work program was developed at Laurentian University in the Faculty of Professional Schools. In 1983, Anne-Marie Mawhiney (Social Work) and Thomas Alcoze (Native Studies) met with Chiefs from 22 Robinson-Huron communities and obtained support to proceed with community consultations on the development of a program. With funding from Health and Welfare Canada, they hired Joan Commanda and Mary Ann Naokwegijig (Corbiere) to carry out the consultations. 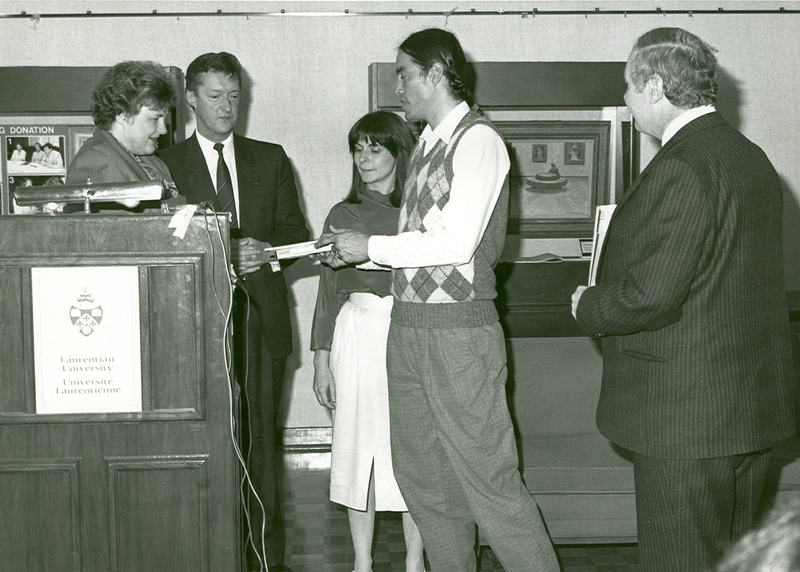 In November 1987, Anne-Marie Mawhiney and Thomas Alcoze obtained Senate approval for an Honours Bachelor of Social Work (Native Human Services): “The image was of a person whose education in social work was a blend of Anishinaabe cultural knowledge and responses and up-to-date social work theory and practices” (Native Social Work Journal, vol. 9, Feb. 2014, p. 17). Students were admitted in 1988. To support the program, 5 tenure-track faculty were hired as well as a placement officer and a secretary. Each year, the Native Human Services program reported back to the Robinson-Huron First Nations Assembly. In 1997, the Native Social Work Journal was launched. In 2008, the School of Native Human Services was established as an independent school with full accreditation. The school was renamed as the School of Indigenous Relations in 2014. 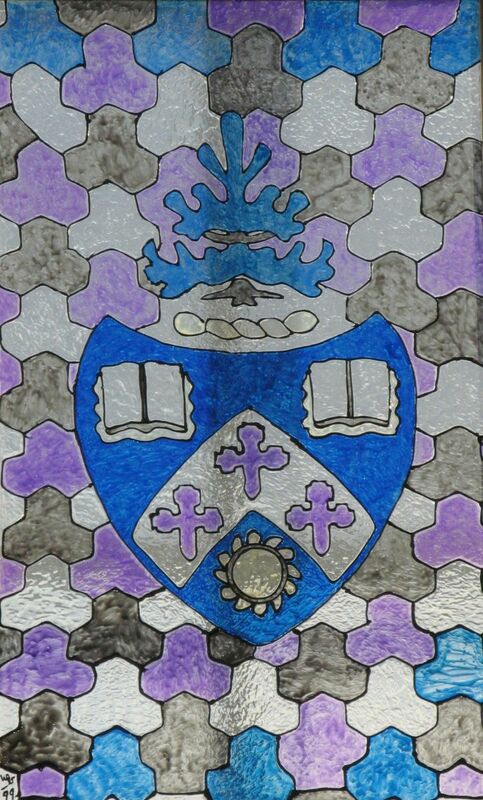 It belongs to the new Faculty of Health, also established in 2014. 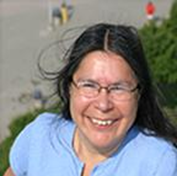 In 1989, Dr. Mary Ann CORBIERE (INDG) who had been hired to consult with the Robinson-Huron First Nations was appointed as an assistant professor in the Department of Indigenous Studies at the University of Sudbury. She holds a B.Sc. from York University, an M.B.A. from Laurentian University and a Ph.D. in Theory and Policy Studies in Education from the University of Toronto. Her main research project is a dictionary of Nishnaabemwin, her mother tongue. She is a member of Wikwemikong Unceded First Nation. Over the next two decades, Indigenous faculty, staff and students began to receive greater recognition as awareness of the Indigenous presence on campus grew. 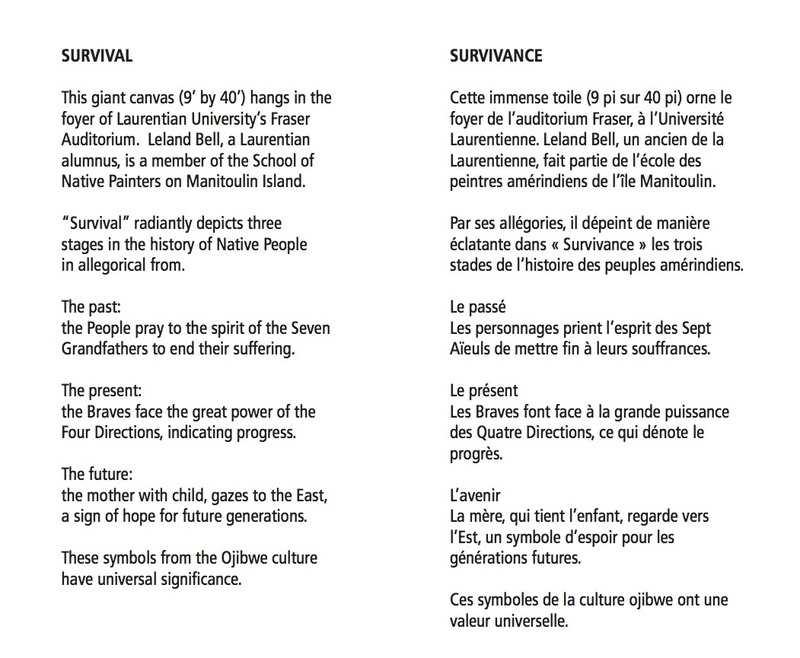 The cover of the 1990-91 Laurentian University Calendar featured the mural Survival (1985) by alumnus Leland Bell, commissioned for the 25th anniversary of the University and mounted outside the Fraser Auditorium. The banner of the Laurentian University Faculty Association (LUFA) with three circles symbolising the Indigenous, Anglophone, and Francophone members was unveiled in February 1997 during the planning for the event Sudbury Days of Action Celebration of Resistance which took place March 21-22, 1997. LUFA joined some 30 other unions and community groups in protesting against the conservative government of Mike Harris. The banner was a collaborative effort involving Mary Ann Corbiere (Indigenous Studies), David Leadbeater (Economics), and Jean-Charles Cachon (Commerce and Administration). The Anishinaabe name “Laurentian U Maamwi Debendaagzijig” appears below the French “Association des professeurs et professeures de l’Université Laurentienne” and the English “Laurentian University Faculty Association”. The red and white Anishnabek flag was added to the display in the Student Centre next to the Franco-Ontarian, Ontarian and Canadian flags in 1998. 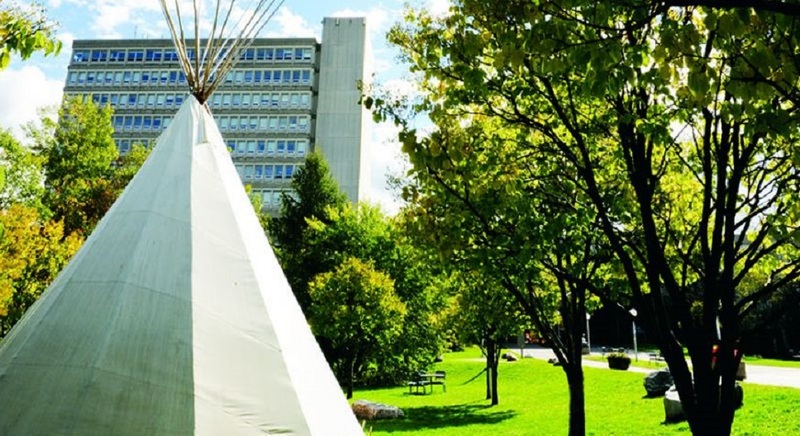 A tipi was erected in Founders’ Square as part of the welcoming ceremony and feast hosted by Native Student Services in September 2005. A blue Métis flag with an infinity symbol was added to the display in the Student Centre on November 16, 2010 in celebration of Louis Riel Day. Two eagles were designed by alumnus Leland BELL for Laurentian University’s coat of arms in 2010 on the occasion of the 50th anniversary of the University. Honorary doctorates were awarded by Laurentian University to prominent Indigenous community members, including four before 1990. John WESLEY BEAVER (1920-80), former Chief of the Alderville First Nation, who was recognized with an honorary doctorate of Laws in 1977. A veteran of World War II, he obtained a degree in electrical engineering from Queen’s University and made his career with Ontario Hydro in various engineering and management roles. Daphne ODJIG, Anishinaabe artist, who was recognized with an honorary doctorate of Letters in 1982. A member of Wikwemikong Unceded First Nation on Manitoulin Island, she received the Order of Canada in 1986. Arthur SOLOMON, Anishinaabe elder, who received an honorary doctorate of Laws in 1986. He made a significant contribution to the Native Studies program at the University of Sudbury. His poetry and essays were published in a book entitled Songs for the People: Teachings on the Natural Way (Toronto: NC Press, 1990). Daniel E. (Sr.) PINE, Anishinaabe elder and healer, who received an honorary doctorate of Laws in 1989. A member of Garden River First Nation, he was a resource person for the Ojibwe Cultural Foundation (OCF) and lectured at Keewatinung Institute at Algoma University. Mary Lou FOX RADULOVICH, member of M’Chigeeng (West Bay) First Nation, who was awarded an honorary doctorate of Laws in 1992. She played a key role in the establishment in 1974 of the Ojibwe Cultural Foundation (OCF) which aims to maintain the language and culture of the Ojibwe, Odawa and Pottawatomi Nations. Shirley CHEECHOO, Cree artist, actor and film director, who was awarded an honorary doctorate of Letters in 1995. In 1984, she co-founded and directed the theatre group De-ba-jeh-mu-jig, now located in Wikwemikong Unceded First Nation on Manitoulin Island. Her play Path With No Moccasins (1991) documents her experiences at Shingwauk Residential School which now houses Algoma University in Sault Ste. Marie, Ontario. Blake DEBASSIGE, Anishinaabe artist from West Bay on Manitoulin Island, who was awarded an honorary doctorate of Laws in 1995. With Shirley Cheechoo, he co-founded De-ba-jeh-mu-jig in his home community of West Bay. Tom JACKSON, Métis singer and actor, who received an honorary doctorate of Letters in 1998. Born on the One Arrow reserve in Saskatchewan, he is known for his music and his humanitarian work. He was invested into the Order of Canada in 2000. Basil H. JOHNSTON, Anishinaabe writer and scholar, who received an honorary doctorate of Laws in 1998. A member of the Chippewas of Nawash Unceded First Nation, he worked as an ethnologist for the Royal Ontario Museum where he dedicated himself to preserving the Anishinaabe language and mythology. He is the author of many books including Indian School Days (Toronto: Key Porter Books, 1988). Donald OBONSAWIN, member of the Abenaki First Nation, who was recognized with an honorary doctorate of Letters in 1999. He graduated with a B.A. in political science from Laurentian University and went on to pursue graduate studies in Quebec. From 1987 to 2002, he served as deputy minister in seven Ontario ministries. Liza MOSHER, Anishinaabe elder, who received an honorary doctorate of Laws in 2000. A member of Wikwemikong Unceded First Nation on Manitoulin Island, she is known for her work with women in conflict with the law. She introduced programming and ceremonies for Indigenous inmates at the Sudbury District Jail. Ted NOLAN, Anishinaabe hockey player and coach, who received an honorary doctorate of Laws in 2002. A member of Garden River First Nation, he played hockey for the Detroit Red Wings and the Pittsburgh Penguins, and coached the Buffalo Sabres and the New York Islanders. James BARTLEMAN, Anishinaabe author and Canadian diplomat, who received an honorary doctorate of Laws in 2004. A member of the Chippewas of Mnjikaning First Nation, he made his career in the Canadian foreign service before serving as the 27th Lieutenant Governor of Ontario (2002-07). Tomson HIGHWAY, Manitoba-born playwright, who was awarded an honorary doctorate of Letters in 2004. His plays “The Rez Sisters” (1988) and “Dry Lips Outa Move to Kapuskasing” (1989) are set on a fictional reserve on Manitoulin Island. In 2013, he received an honorary doctorate of Canon Law from Thorneloe University. Leland BELL, Anishinaabe artist, who was recognized with an honorary doctorate of Letters in 2008. A member of Wikwemikong Unceded First Nation on Manitoulin Island, he graduated with a B.A. in Native Studies in 1980. 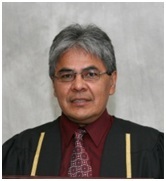 Raymond KINOSHAMEG, Anishinaabe elder, who was awarded an honorary doctorate of Laws in 2009 for his contributions to Aboriginal community organizations including Key North, an employment training initiative for Aboriginal women, the Better Beginnings Better Futures project for young children, and N’Swakamok Alternative School, which provides culturally based education for at-risk youth. Phil FONTAINE, former National Chief of the Assembly of First Nations (AFN), who was awarded an honorary doctorate of Laws in 2014. Born at Sagkeeng First Nation in Manitoba, he was one of the Manitoba First Nations leaders who led the opposition to the Meech Lake Accord. He led the AFN in negotiating the Indian Residential Schools Settlement Agreement. Susan AGLUKARK, Inuk singer/songwriter, who received an honorary doctorate of Letters in 2015. A recipient of three Juno awards, she was raised in Arviat, Nunavut, and established the Arctic Rose Project as a charitable foundation to help Northern communities. Douglas CARDINAL, Métis architect known for his curvilinear design, who received an honorary doctorate of Laws in 2015. His projects include the First Nations University of Canada in Regina, the National Museum of the American Indian in Washington and the Canadian Museum of History in Gatineau, Quebec. The Native Student Association (NSA) was established in 1990. The NSA organized a conference on Rebuilding Our Nations at the University of Sudbury which was attended by Ovide Mercredi and Elijah Harper. 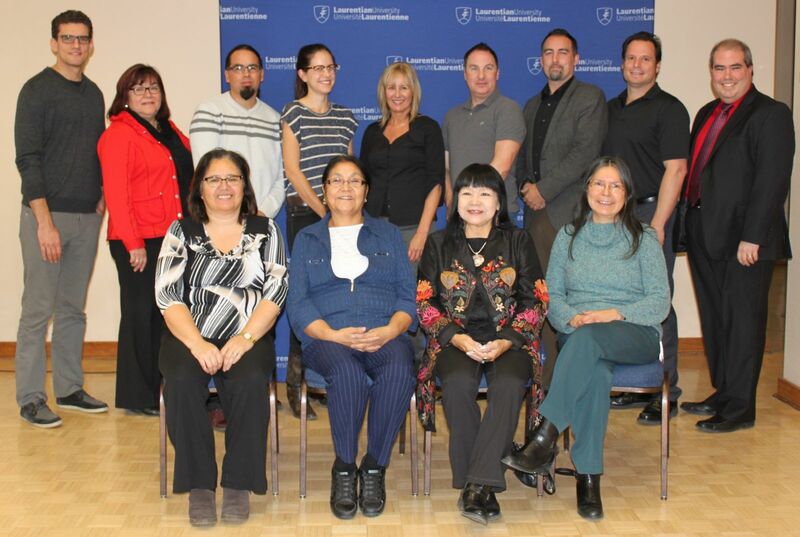 The Laurentian University Native Education Council (LUNEC) was established in 1991 by president Ross H. Paul, in accordance with the Ministry of Colleges and Universities guidelines, with representatives from the Robinson-Huron Chiefs Council, the Union of Ontario Indians, the United Chiefs and Council of Manitoulin, local First Nation communities, Aboriginal organizations, faculty members from Native Studies and Native Human Services, Indigenous student associations, and elders. LUNEC was tasked by Senate and the Board with making “recommendations about issues affecting the Aboriginal student population and the general Aboriginal community”. 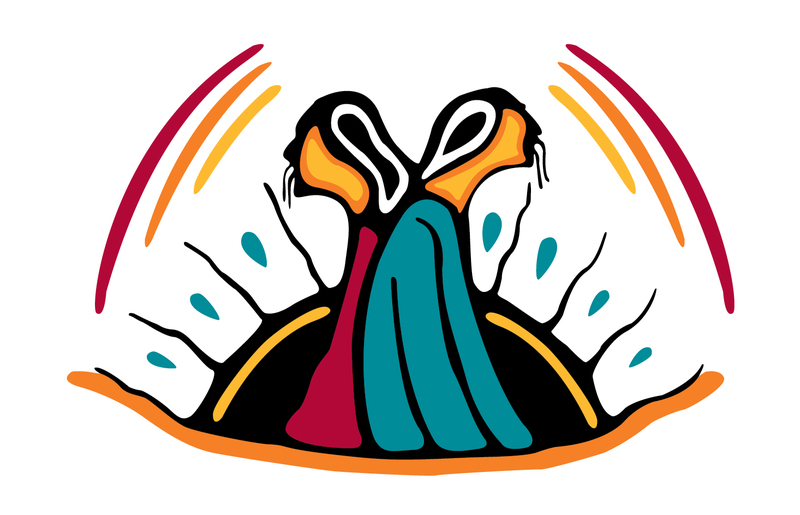 Native Student Affairs was established, starting with the hiring of a Native student counsellor in 1993. In collaboration with the Native Student Association, this office initiated Native Awareness Week in 1995, featuring films, workshops and a powwow. Students were encouraged to self-identify. On October 26, 1995, a piece written by an Indigenous student entitled “Who is an Indian?” appeared in Lambda: “The fact is that being an “Indian” is not a certain look or talk”. 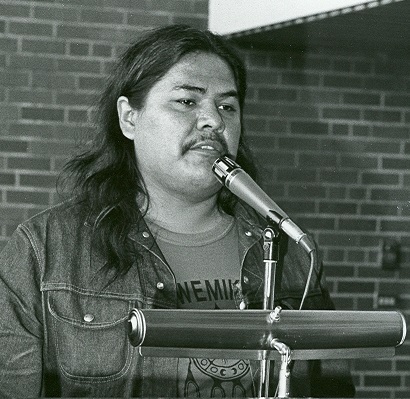 In 1999, Elijah Harper (1949-2013), former Chief of the Red Sucker Lake First Nation, gave the keynote address at the annual event. In 1998, Ovide MERCREDI, former National Chief of the Assembly of First Nations and former Chief of the Misipawistik Cree Nation, served as a special adjunct professor at the University of Sudbury and delivered four public lectures on Aboriginal politics. A year later, when Jean R. WATTERS, former president of Laurentian University (1998-2001) proposed the creation of two vice-president academic positions, one anglophone and one francophone, a First Nation student proposed a third vice-president for Aboriginal affairs. The amendment was passed by Senate but was not implemented. In the 2000-02 Calendar, Laurentian University is described as “our dynamic, northern, bilingual and tricultural postsecondary institution”. 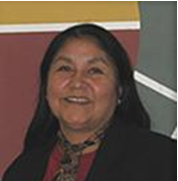 Dr. Sheila CÔTÉ-MEEK was appointed to the position of Director of Academic Native Affairs in 2006. By 2009, her title was changed to that of Associate Vice-President, Indigenous Programs. Her position would be key for laying the groundwork for hiring Indigenous faculty across the disciplines. She is currently Associate Vice-President, Academic and Indigenous Programs. Following the 2007 Report of the Aboriginal Equity Initiative Committee mandated by the 2005-08 Collective Agreement, an Aboriginal Equity Initiative was incorporated into Laurentian University’s 2008-11 Collective Agreement. The initiative involved a “grow-our-own” program to support Indigenous faculty members completing doctoral studies which has never been implemented. The 2008-11 Collective Agreement also recognized that active measures were required to appoint a larger number of Aboriginal librarians and faculty members, particularly outside Aboriginal-specific programs. In 2009, Dominic GIROUX was appointed as President of Laurentian University. His experience with the Ministry of Training, Colleges and Universities (MTCU) in leading the creation of an Aboriginal Education Office as well as with French-language schools was a decisive factor in his appointment. Under President Giroux, the 2012-17 Laurentian University Strategic Plan included proactive hiring practices to increase the proportion of Indigenous faculty and staff, increased Indigenous course content, increased enrolments of First Nations, Métis and Inuit students and the construction of an Indigenous Sharing and Learning Centre on the Sudbury campus. In 2012-13, a hiring initiative was launched in the Faculty of Arts at Laurentian University to increase the proportion of Indigenous faculty across the disciplines. Between 2013 and 2015, the total number of Indigenous faculty members teaching in the Faculty of Arts went from 3 to 12. To facilitate the recruitment and retention of Indigenous faculty members, the 2008-11 Collective Agreement had waived the requirement for French/English bilingualism for the purposes of tenure for Indigenous faculty members and instead, recognized the knowledge and/or demonstrated study of an Aboriginal language and either English or French. However, in practice, several of the Indigenous faculty members hired were francophones fluent in both French and English. The first Indigenous faculty members in the Faculty of Arts at Laurentian University arrived just as Laurentian University was hosting the travelling exhibit on First Nations residential schools entitled 100 Years of Loss from September 30 to October 4, 2013. Several faculty members visited the exhibit with their classes. 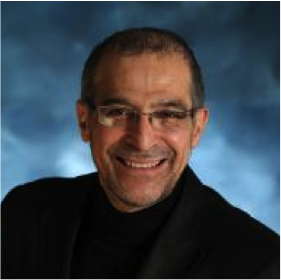 Dr. Michael HANKARD was appointed to the Department of Indigenous Studies at the University of Sudbury in 2012. 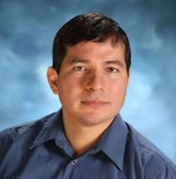 He was the first Indigenous graduate of Laurentian University’s Ph.D. in Human Studies (2012). On November 10, 2014, a reception was held in the Governors’ Lounge to celebrate the 22 Indigenous faculty members and administrators at Laurentian University, the University of Sudbury and the Northern Ontario School of Medicine (NOSM), many of whom were hired since 2013. Standing (L. to R.): David Fortin (Architecture), Sheila Côté-Meek (Associate Vice-President, Academic and Indigenous Programs), Jake Chakasim (Architecture), Brittany Luby (History), Michelle Coupal (English), Gregory Scofield (English), Pierrot Ross-Tremblay (Sociology), Charles Daviau (Northern and Community Studies) and Dominic Giroux (President of Laurentian University); Seated (L. to R.): Taima Moeke-Pickering (Indigenous Relations), Emily Faries (Indigenous Studies), Cheryle Partridge (Indigenous Relations), and Mary Ann Corbiere (Indigenous Studies). The proportion of students at Laurentian University who self-identify as Indigenous continues to increase. By 2007, the number of Indigenous students at Laurentian University was estimated at 650, roughly 8% of all undergraduates. In 2014, 12% of students in Arts self-identified as Indigenous (First Nations, Métis or Inuit). Over 70 courses with Indigenous content are now offered annually in a wide range of programs in addition to those offered by the Department of Indigenous Studies. By comparing courses from 2002-04 with new ones from 2013-15, we can get a sense of how the research of Indigenous scholars is enriching and enhancing the existing curriculum. The course on Indigenous Literatures in Canada is taught by Dr. Michelle COUPAL, assistant professor of English, who was invited to champion Ajjiit: Dark Dreams of the Ancient Arctic (Toronto: Inhabit Media, 2011), a collection of Inuit short stories by S.A. Tinsley and R.A. Qitsualik, at the Turtle Island Reads 2014 competition during the conference on Approaching Indigenous Literatures in the 21st Century in Vancouver, February 27 to March 2, 2014. The Department of Indigenous Studies has also developed a range of new courses reflecting the expertise of new faculty members in traditional healing, Indigenous ecological knowledge, environmental issues, and the ‘postcolonial dialogue’ between Western and Indigenous ideas, theories, teachings, and experiential learning. Dr. Michael HANKARD introduced INDG 3285EL Living with the Land: Indigenous Knowledge in Theory and Practice, an innovative experiential course which was offered August 10-19, 2012 on the grounds of Whitefish River First Nation. He also initiated a new minor in Indigenous Environmental Studies, launched in 2014. 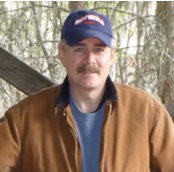 In 2011, Dr. Kevin FITZMAURICE, associate professor in the Department of Indigenous Studies, founded the Undergraduate Journal of Indigenous Studies: Dbaajmowin which publishes papers by students at the University of Sudbury, Laurentian University, Thorneloe University and Huntington University. In 2014, the School of Indigenous Relations (formerly Native Human Services) launched a new Masters in Indigenous Relations with 9 students. Dr. Darrel MANITOWABI and Dr. Jorge VIRCHEZ, both members of the School of Northern and Community Studies, teach in the program. 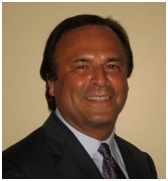 Dr. MANITOWABI served as its founding coordinator. New Indigenous elective courses at the graduate level will be available in the coming years. Two such courses created by Brittany LUBY for the M.A. in History are HIST 5206EL Indigenous Histories of the Great Lakes before 1900 and HIST 5207EL Indigenous Histories of the Great Lakes after 1900. Indigenous faculty members are invited to speak at SAGE meetings to support student success. SAGE (Supporting Aboriginal Graduate Student Enhancement) is a peer-mentoring network for Indigenous graduate students, which is active nationally and internationally. In October 2014, Indigenous Education Week emphasized academic lectures for the first time. Formerly known as Native Awareness Week, it shifted its focus from cultural awareness to Indigenous research, reflecting the increase in the number Indigenous faculty members at Laurentian University. Planning is currently underway for a new Indigenous research centre. Laurentian University’s 2014-17 Collective Agreement recognizes and values research carried out using traditional/ Indigenous knowledge and the practical applications or dissemination of such research generally, or specifically through engagement with Indigenous communities. Faculty members who conduct community-based research requiring engagement with First Nations, Métis or Inuit communities may request that two faculty members who also conduct such research or who teach in Indigenous programs be added to the Faculty Personnel Committee for the evaluation of tenure and promotion applications. The Indigenous Sharing and Learning Centre that will open at Laurentian University in 2016 will provide a new space to discuss research, promote dialogue around Indigenous education, and share cultural experiences. As the Faculty with the largest number of Indigenous faculty members at Laurentian University, the Faculty of Arts has a central role to play in helping the University to fulfill its tricultural mandate. We can look forward to many exciting developments in the years to come as new courses are introduced, new research projects are launched and new faculty members are appointed.